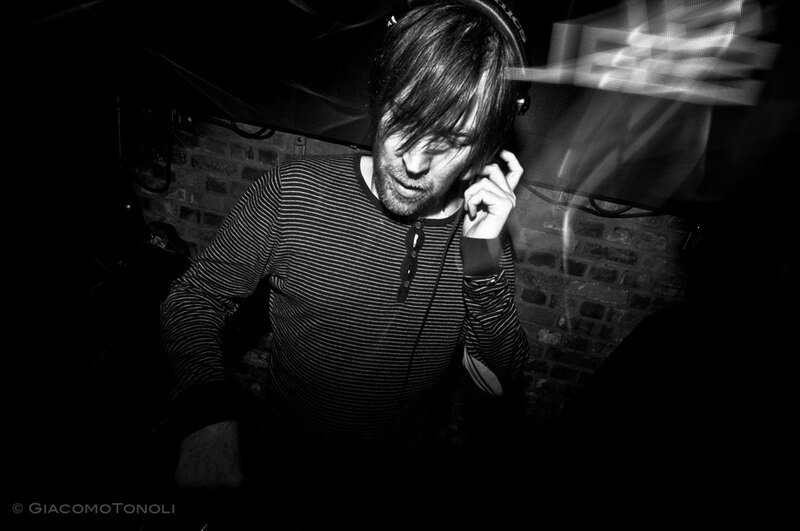 London based DJ, producer and party-starter JB (AKA Jon Barnet) has long been considered one of London’s most crucial and influential figures in the city’s house music scene. With over 20 years experience juggling roles as a promoter, DJ, organizer and music enthusiast, JB’s contribution to underground house music is wide, with his mark still being felt across London’s club circuit today and a style that he carries around the world. From Ibiza to Russia, the Americas to Asia, JB has taken his pinpoint ear and passion for dance music with him. JB traces the start of his career back to his humble beginnings in Croydon, South London, during the 1980’s where house music - and the export of acid house to the UK - was starting to pick up pace. Coming in on the cusp of the acid house explosion, a young 17-year old JB was learning his craft as he went, mixing soul, house and disco at The Rue St George, (a famous South London Bar) which he run with his old friend and now d’n’b champion, DJ Bailey. But by taking the party elsewhere - by moving the sound system and developing a healthy following of regular patrons - JB had started his own movement and watched as the party grew to become a bastion in quality dance music. “I know good music and I just wanna play stuff that makes people dance like crazy” says JB of his love for a quality beat and it’s still this mantra that Jon lives by today, an ethos that has seen him remain at the forefront of the city’s ever growing house music scene. And it was one that saw a young, bright-eyed DJ enthusiast picked up by London’s legendary rave, Spiral Tribe, where he remained a regular fixture and sowed the seeds for a lifetime dedicated to the art of house music. As the scene exploded, JB cemented his own status in London’s clubbing melee with the introduction of his very own parties. Dance Wicked - a party he formed with that late Sammy Christie - became a city-wide institution, touching down in clubs such as fabric, The End and The Hackney Ocean, bringing the likes of Derrick May and Tony Humphries besides many more to keep the party burning bright. The very first Dance Wicked party - featuring Humphries and the legendary Robert Owens - acted as the springboard and benchmark for London’s clubbing scene. Winning the backing of DJ and broadcaster Danny Rampling, it became the first club night ever to be Broadcast live for BBC Radio One - a game-changing accolade if there ever was one. Dance Wicked began to grow into a trusted brand of house music, JB and Sammie launched the record label arm of the brand, Dance Wicked records, which released sought after cuts from the likes of Blaze, Ambrosia, Timmy Regisford and Lesley Lawrence to global critical acclaim. They also kept their experiences as savvy promoters well in check with the introduction of Bannerama, a major banner production company that served festivals such as Glastonbury and institutions such as Radio One and Kiss FM. As Dance Wicked grew to epic proportions, JB found himself being booked all over the world to bring some of his party magic to NYC’s Sullivan Rooms and Centrofly. After taking inspiration from the acid house scene exported to his home country from the US, JB found himself in the heart of the action, bringing his ear and passion for dance music to a wider, more global audience. As well as knowing how to get the party vibe right, JB is also a DJ first and foremost. He is one of the masterminds behind Paradox – the next leg of his lauded and game changing Sunday night bash, Retox – and remaining entrenched within the scene. One of the longest running Sunday night bashes in the city - and run alongside his friends from Eukatech and Dom Cools Lartigue - as well making regular appearances at Fabric nightclub and holding down a 12 year residency at London’s world famous Egg Club demonstrating his skill and love as a true Selecta of music. At the same time, JB’s credentials for mixing and producing music have seen him recently collaborate with the likes of Howie B, whilst curating solid dance floor energy with a highly lauded podcast mix for Luciano’s Cadenza records. It’s with this kill and knowledge that JB has teamed up with A Guy Called Gerald for their Selecta parties at East London’s electronic music hub Basing House. As a collective, JB and Gerald are also known as The Selecta Bros, already picked up by the likes of DJ Mag and Mixmag as their new concept – focusing on the skill of selecting music to form the perfect party soundtrack – gathers steam. A real champion of real house music, it’s the latest incarnation for one of London’s most beloved figures in house music.